LOS ANGELES – The National Basketball Players Association (NBPA) Foundation and the LA84 Foundation are pleased to issue an RFP to refurbish local basketball courts in underserved communities in Los Angeles, Riverside, and San Bernardino counties. 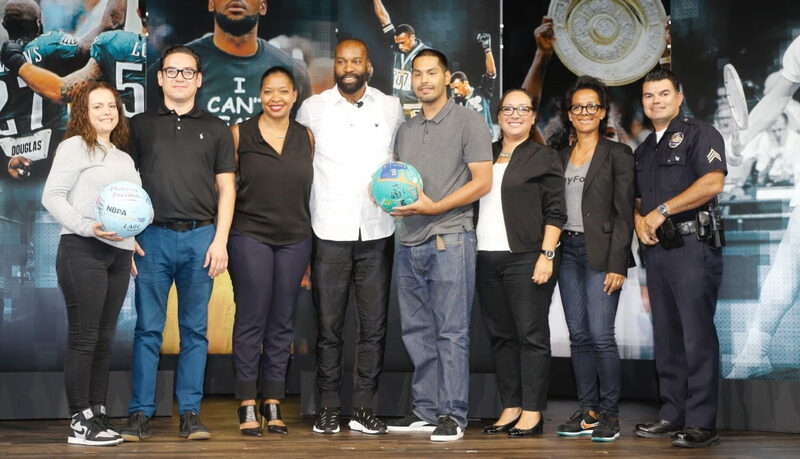 In February 2018 the NBPA Foundation made a commitment to provide a total of $150,000 of grant funding for local communities over a three-year period. The LA84 Foundation manages the grant process and distribution of program funds to local organizations. Individual grants of up to $25,000 are available for capital improvement projects focused on basketball court refurbishment and renovation. Local non-profits Proyecto Pastoral and Legacy LA of Boyle Heights were selected as the winners for 2018, and each organization received $25,000 in grants to refurbish their courts. 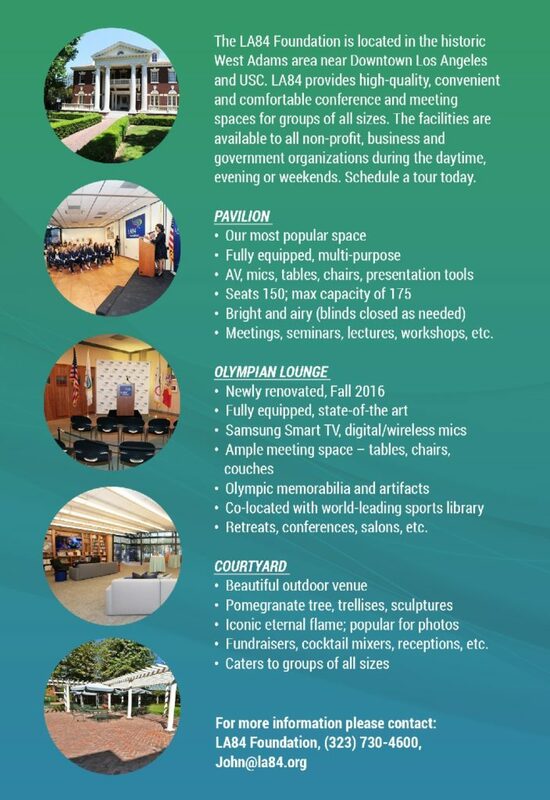 Because equity and opportunity are at the forefront of the Basketball Court Refurbishment Program, the LA84 Foundation takes into account the applicant’s degree of public access, demonstration of community need, condition of existing courts, and presence of quality youth programming. Additionally, any organization applying for the RFP must be a community-based organization, school district, or network of schools serving neighborhoods where a majority of the residents are low and moderate-income families and individuals. 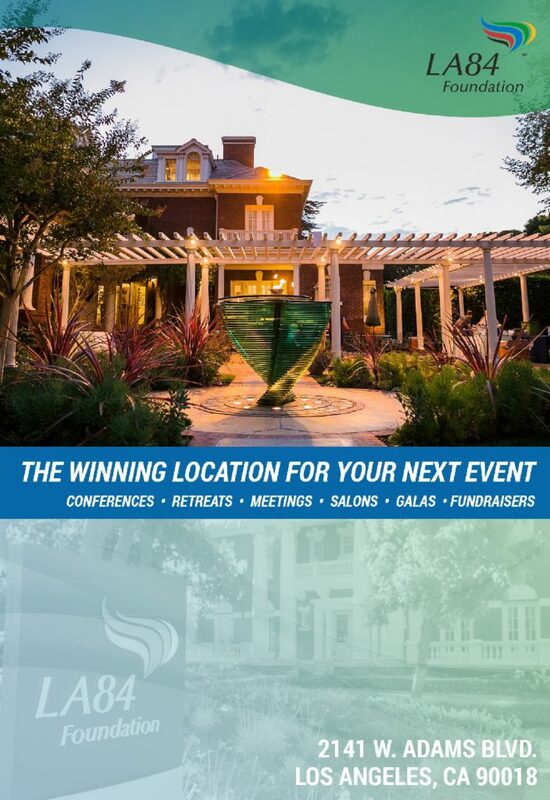 Proposals must be submitted online beginning April 11, 2019 through June 14, 2019 and can be accessed at www.la84.org/ball. LOS ANGELES — Today, the LA84 Foundation released the results of the LA84 Foundation Youth Sports Survey, Los Angeles County 2018. The survey measures progress in the effort to make youth sports available to all young people in our community. The report updates and expands the foundation’s inaugural 2016 survey. The 2018 report presents a comprehensive view of youth sports in Los Angeles County, detailing participation rates, types of play, locations, sport participant profiles, and total player projections, while highlighting changes to the youth sports landscape since 2016. Click here to read the full LA84 Foundation Youth Sports Survey, Los Angeles County 2018 report. The 2018 survey results show that more than 1.2 million young people, 82.3% of all kids, in Los Angeles County participate in sports and that in most sports the participation rates in Los Angeles County exceed national rates, often by wide margins. Although the number of young people playing sports is impressive, we should not lose sight of two key points. First, youth sports participation remains closely tied to household income, with children from the lowest-income households participating at the lowest rate. Parents from low-income households are most likely to agree that youth sports are too expensive, and most likely to call for more school-based sports programs, which typically involve lower costs for participation and less travel than other sports options. Second, 39% of Los Angeles County youth sports participation takes the form of casual/pick-up play. While the LA84 Foundation believes in the value of all physical activity, we believe that the greatest benefits come from structured sports programs that involve the purposeful mentoring of young people. The LA84 Foundation, for over three decades, has used the power of sport to create access and opportunity for those who need it most. But hiding in plain sight,there is a national crisis in play. Simply stated, kids from affluent families play sports at a significantly higher rate than young people from less wealthy households, and boys continue to play at a higher rate than girls. And that is why we coined the phrase Play Equity and why we are leading the #PlayforAll Movement. Play Equity means that the amount of exercise kids get must not be determine by their income,geography, gender or ability. Play Equity means that the dreams of our youth must not be determined by their zip codes. Play is a basic human right and all of our youth deserve equal access. The LA84 Foundation is committed to closing the Play Equity Gap to ensure that all of our children have the access and opportunity to enjoy the social, emotional, health, and educational benefits of youth sports and structured play. Clearly, we still need to do more work in Los Angeles County to close the Play Equity Gap. The new survey, which the LA84 Foundation commissioned SMSUSA to conduct, replicates the 2016 survey, but expands it to ask new questions about perceptions of cost, availability and access. The responses to those questions provide insights on how socioeconomic inequity affects youth sports participation inLos Angeles. The survey involved 703 households representing 1,095 youngsters ages 6-17, with interviews conducted in English and Spanish. Below is a summary of the key finding’s of the LA84 Foundation Youth Sports Survey, Los Angeles County 2018. 82.3% of Los Angeles County youth, ages 6-17, participate in a sport, a slight improvement over the 2016 activity rate of 81.5%. More than 1.2 million young people, ages 6-17, play sports in Los Angeles County. Family income continues to be associated with youth sport participation. Kids from households with annual incomes greater than $150k participate at a rate of 90%, while only 71% of kids from households earning below $35k play sports. However, from 2016 to 2018, activity increased in households under $75k, while actually declining in households earning over $75k. Youth activity correlates to parental activity levels. Children in households with regularly-active parents showed an increase in activity, rising from 84% to 90%. Meanwhile, kids from households with occasionally-active or inactive parents participate at a rate of 77%, a slight decline from 2016. Regular physical activity among parents, in turn, corresponds to income, with affluent households showing the highest parental activity level. Girls’ participation indicates an increase from 73% in 2016 to 79% in 2018. This positive finding, however, may be influenced by the addition of “Cheer/dance” as a separate, selectable sport choice. The 2016 survey also documented this activity, but did so under the rubric of “Other sports.” In any case, girls’ participation rate still trails that of boys, with 85% of boys participating in sport compared to 79% of girls. The youngest age group of boys and girls, 6-8-year-olds, has a higher participation rate than in 2016, reflecting an increase from 72% to 81%. However, younger children ages 6-11 remain slightly less active than older kids. Soccer, as in 2016, has the highest participation rate among youth ages 6-17 in Los Angeles County, with 27% of children having played in the past 12 months. Swimming (26.7%), basketball (25.7%), running (16.9%), and baseball (16.1%) follow. When baseball is combined with slow-pitch softball (6.4% and fast-pitch softball (5.6%) the result is 28.1%. Only running, track & field, and rugby saw youth participation rates increase from 2016 to 2018. Skateboarding again has the highest play frequency of all youth sports with an average of 77 participation days a year, followed by basketball (63), martial arts (62), running (59), and cheer/dance (59). Los Angeles County youth played sports an average of 112 times in the past year, similar to the 2016 average of 114. The most frequently cited reason for not participating in sport is Not interested (35%). Other reasons cited are Doesn’t like sport (18%), Other non-sport interests (10% – double the percentage in 2016), Too busy with school work (5%), Sports not offered at school (4%), Cost/Too expensive (4%), Health concerns (3%), and Too young (2%). Kids played fewer sports in 2018, indicating somewhat greater sports specialization, with youngsters averaging 2.21 sports compared to 2.7 in 2016. 64% of Los Angeles County youth would like to play a sport in the next year. Soccer is the most desired sport, followed by basketball, baseball, football, and tennis. Among youth sports participants, casual pickup play declined 8% while there was a corresponding increase in organized play, with the biggest increase in organized non-school sports. 79% of Los Angeles County youth are enrolled in P.E./physical activity classes, down from 88% in 2016, with Hispanic/Latino and African-American households experiencing the biggest decline among race/ethnic groups. Whites and Asian/Pacific Islanders are slightly more likely to be in P.E. than children from other racial or ethnic groups. 6% of Los Angeles County households report having a special needs child. Of households reporting a special needs child, 30% state that their child had a physical disability; 46% intellectual/emotional, and 31% emotional. Overall, the percentage of active parents in households with children ages 6-17 increased modestly from 88% in 2016 to 90% in 2018. However, there was a 7% drop in adults who regularly participate in physical activity/sports, while the percentage of occasionally active parents increased. Asian/Pacific Islanders are the only group of parents to show an increase in regular physical activity. All other racial/ethnic groups declined. All income groups declined in regular physical activity, with a greater decline in households below $75k than in those above $75k. Parents from affluent households earning more than $150k are more than twice as likely to take part in physical activity regularly than parents from households of under $35k. YouTube is again the social media platform most often used by Los Angeles County youth, with nearly half (46%) using it regularly – followed by Instagram (26%), Snapchat (24%), Facebook (21%), and Twitter (13%). Overall there is less social media use reported than in 2016. Interestingly, active youth are more likely to use social media frequently than less active youngsters. The overwhelming majority of young people in Los Angeles County never use sports websites. The most-used sports website is ESPN, but only 36% of young people use it regularly or occasionally. “I wish more sports were available at my child/children’s school” is the most-agreed with statement in the survey among parents of youth in Los Angeles County. Demand for sports at schools is especially evident among lower-income households, households with younger children, and households in the Metro Service Planning Area, which includes central Los Angeles, Boyle Heights, Hollywood, and Echo Park. Lower-income households tend to agree that youth sports in Los Angeles are too expensive. Higher-income groups tend to disagree with that statement and are more concerned with sport specialization and the amount of time taken by youth sports. Respondents generally agree that finding a place to play in Los Angeles County is not an issue, although low-income households are most likely to say that they are unsure about the issue. Increased activity among Females Youth ages 6-8 Those with active parents Lower-income households still fall behind others in activity rate and play occasions. Interest in future sport participation stable, reflecting an existing latent demand. Sports increasingly compete with other activities for time; % of those not interested in sports due to other non-sport interests doubled since 2016. The use of schools as a sports location increased slightly, a key insight as parents wish that more sports were available at their children’s schools. Participation at public facilities has decreased , potentially hindering access to sports. Low-income youngsters played less at schools than in 2016. Households generally disagreed that it is difficult to find places to play sports in LA County. The cost of participation is still a concern, with agreement increasing as household income decreases. For funders and policy makers seeking to make youth sports universally available,the survey responses from low-income households are instructive. It is clear that for low-income parents cost remains an issue. Parents of young athletes must meet the costs of registration, equipment, travel, and in some cases child care and lost work time. These parents’ call for more school-based sports programs represents a rational solution to closing the PlayEquity Gap. School sports typically provide a lower-cost option than other sport programs. Moreover, they require less travel and therefore lower transportation costs plus fewer lost work hours. Schools also provide a built-in sports infrastructure, a relatively safe environment, and a ready-made population of potential athletes. In short, school is an ideal setting for meeting kids where they are. Obviously, the LA84 Foundation recognizes the value of sport in all settings and will continue to support them, but moving forward the foundation will redouble its efforts to promote school-based youth sports programming. The ultimate goal will be not only to provide sports for kids, but to utilize and integrate into sports program many of the other learning and support services that schools offer so that youth sports becomes an even more important part of positive youth development. The LA84 Foundation is a nationally recognized leader in support of youth sport programs and public education about the role of sports in positive youth development. The foundation, with 30 years of on-the-ground experience, has supported thousands of Southern California youth sports organizations through grant making, while also training coaches, commissioning research, convening conferences and acting as a national thought leader on important youth sports issues. LA84 levels the playing field to ensure playequity so that sport is accessible to all children, while elevating the field of youth sports as an integral part of American life. To learn more and join the #PlayForAll movement, visit www.la84.org and @LA84Foundation on Twitter and Instagram. LOS ANGELES — The LA84 Foundation proudly co-sponsored the Sport at the Service of Humanity second regional conference, held at Loyola Marymount University. Over two days, 50 presenters came together from all walks of life to share stories and experiences from the world of faith, sport, academia and business. Some of the speakers included: LA84 Foundation President and CEO, Renata Simril, First Lady Amy Wakeland, Father Gregory Boyle and nine-time Paralympian Candace Cable. The inaugural conference happened at the Vatican in 2016. Simril, focused on helping to close the play equity gap. Faith and sport were at the forefront of the discussions, focusing on how the two intersect. SSH has core principles; compassion, respect, love, balance, enlightenment and joy. To watch panel discussions and speakers, click here. For more information about the conference and to learn more about the Sport at the Service of Humanity, click here. 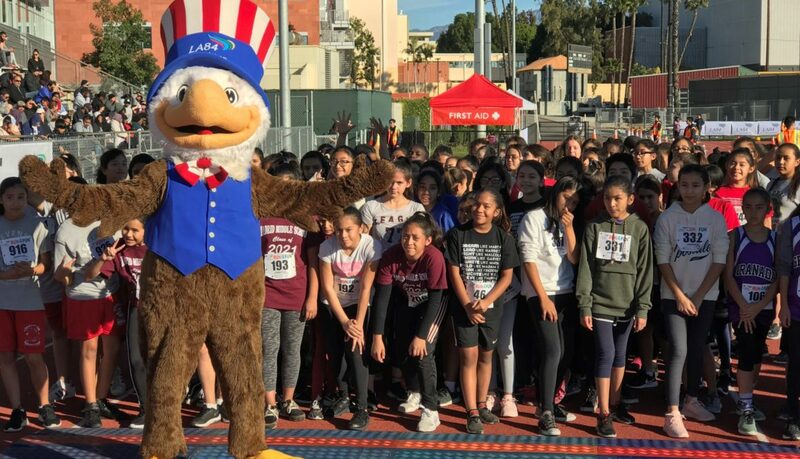 LOS ANGELES — Nearly 700 middle school students from across Southern California participated in the 31st annual LA84 Foundation Run4Fun event held at Jesse Owens Stadium, on the Cal State University Los Angeles campus. After a few days of rain, the sun came out for the event, providing youngsters with a scenic backdrop during their races. Students in grades 6,7 and 8 represented their schools at the event, which was the culmination of two months of training. LA84 initiated the program to provide a sports/fitness opportunity while utilizing the physical education curricula, as well as after-school programs to introduce youth to running for fun, fitness and competition. Nolan Ortiz, Program Officer with LA84, helped organize the event. To help the youngsters prepare, LA84 provides them with a recommended weekly training regimen of introductory running games; activities and drills; material for school site publicity and promotion; and transportation for schools to attend the Run4Fun festival. The course distance was 2-kilometers (1.25 miles,) and races were separated by age and gender. Glen Vanderlinden is a teacher a Madrid Middle School, who understands the importance of kids being active. Palms Middle School had the highest number of participants, with more than 200 children running. Coach John Mullaney wanted to maximize the experience for his students. With family and friends cheering them on, the students showed how the 10-week training program helped prepare them for their races. Leading up to the Run4Fun event, students ran three timed competitions at the 3, 5 and 7 week intervals, gradually working their way up to the 2K finale. Regardless of the results, Vanderlinden’s message to students was simple. Mullaney believes that being exposed to events like Run4Fun could open up doors for many of the youngsters. LOS ANGELES – The LA84 Foundation announces nearly $1 million in grants to Southern California school-based and community youth sports organizations for its November grant cycle. In 2018, LA84 has awarded nearly $3.5 million in grants and programs, giving over 100,000 children access to sports this year. The LA84 Foundation’s goal, play for all, aims to get every child life ready through sports, regardless of zip code. Many of these grants reflect the LA84 Foundation’s commitment to dealing with a crisis that is hiding in plain sight – that not all kids have equal access to sport and structured play. So, how are LA84’s grantees supporting the community? 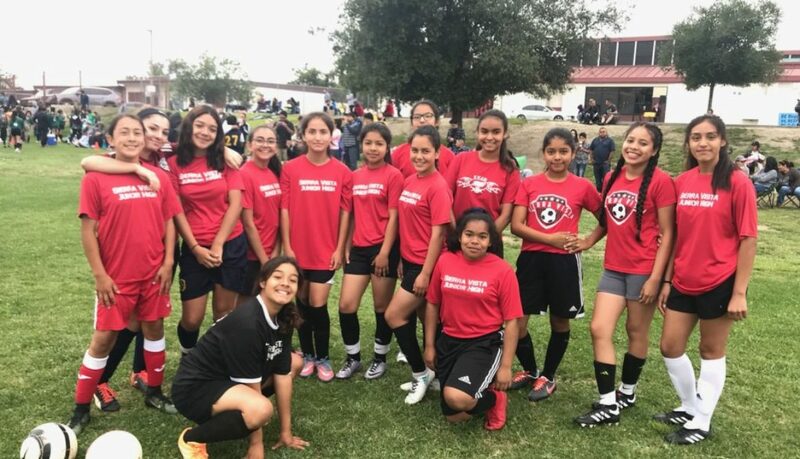 A $172,000 grant will help THINK (Teaching, Helping, Inspiring & Nurturing Kids) Together provide free competitive afterschool sports programs to over 5,300 middle school students at 48 public schools in underserved communities in Los Angeles, Riverside and San Bernardino Counties. The organization offers 10-week seasonal sports beginning with boy’s flag football and girls’ volleyball program in the fall, a 10-week basketball program for boys and girls in the winter, and a 10-week boys and girls soccer program in the spring. Each seasonal sport consists of intramural programs where students compete at the school sites during afterschool hours. The sports program serves an average of 110 students per site. The afterschool enrichment program incorporates sports programs as a pathway to success through college and career. Priorities include building life-skills, promoting social and emotional development as well as college readiness. For the Adaptive Sports and Recreation Association, a $25,000 grant will fund their wheelchair basketball and wheelchair tennis programs. Adaptive Sports and Recreation Association is the only organization in San Diego that offers year-round, ongoing sports leagues and programs that serve youth ages 4-17 with permanent physical disabilities. Opportunities for youth in this community are very limited. The goal for this program is to provide individuals with physical disabilities equal opportunity to engage in sports and recreation and reap the benefits of improved academics, increased self-confidence as well as a sense of belonging, and reduction in social isolation. Over at Youth N’ Motion Academy (YNMA) a $24,500 grant will help to fund their after-school martial arts and archery program. Youth N’ Motion Academy primarily serves youth ages 5-18 of all backgrounds who reside in under-represented areas of Los Angeles. It is the organization’s mission to help develop youth physically, emotionally and socially utilizing martial arts (karate, Jiu-Jitsu) to instill discipline, coordination, fitness, body strength, self-defense, respect, leadership, self-confidence, self-control, self-esteem, and overall positive character. Youth learn their martial arts skills and competitive techniques from experts in the field who support them along the way both as martial artists and mentors. The LA84 Foundation’s funding helps keep a viable, culturally responsive program affordable and open for youth who may not be interested in popular team sports such as basketball or football. Most of the youth served are unable to access any type of archery course or afford the cost of private martial arts classes. The LA84 Foundation is a nationally recognized leader in support of youth sport programs and public education about the role of sports in positive youth development. The foundation, with 30 years of on-the-ground experience, has supported thousands of Southern California youth sports organizations through grant making, while also training coaches, commissioning research, convening conferences and acting as a national thought leader on important youth sports issues. LA84 levels the playing field to ensure play equity so that sport is accessible to all children, while elevating the field of youth sports as an integral part of American life. To learn more and join the #PlayForAll movement, visit www.la84.org and @LA84Foundation on Twitter and Instagram. 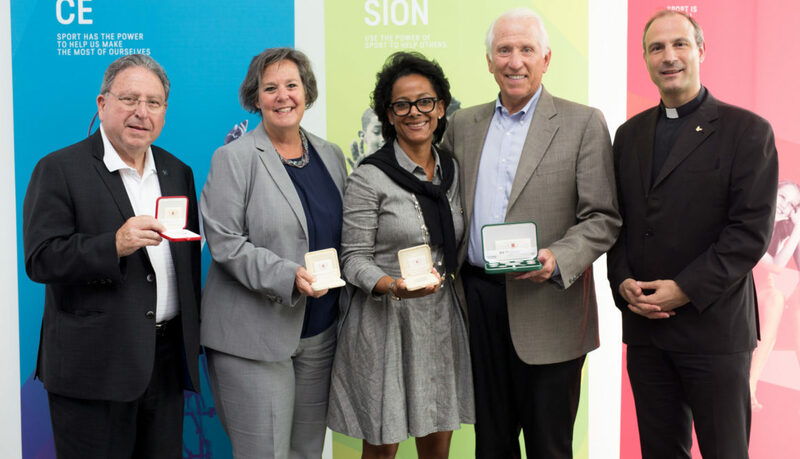 Corporations, through their foundations and corporate social responsibility offices, play a leading role in sport philanthropy. That was the topic of one of the of the final panel discussions at the 2018 LA84 Foundation Summit. Speakers from some of the biggest companies in the country sharing how their organizations are helping out those in need. 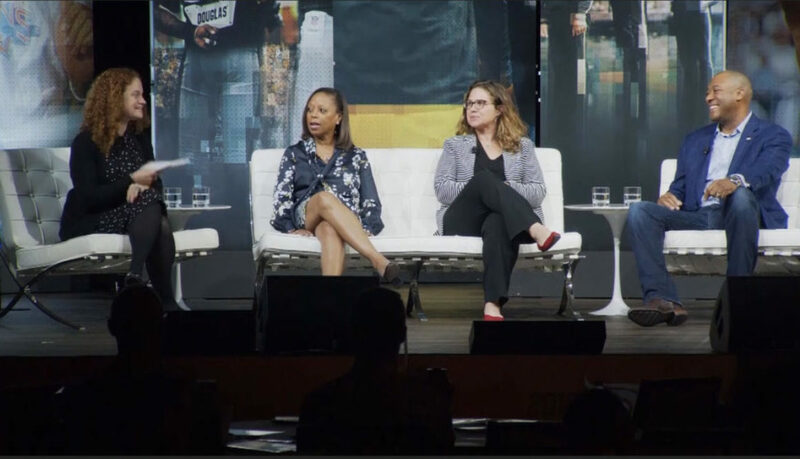 They were; Angela Woods, senior director of Corporate Citizenship with ESPN Eric Reed, director of business sales for Verizon Wireless and Tara Gutkowski-Schwartz, VP of social responsibility at the NBA & WNBA. The panel was moderated by Joanne Pasternack, head of global impact with ServiceNow. Woods kicked off the panel by sharing how the Walt Disney Company. which owns ESPN, ensures its employees know that the organization wants to give back. Reed looked at Verizon and believed the company can be known for more than just a wireless giant. The NBA has been at the forefront of the four major North American leagues when it comes to philanthropy. Gutkowski-Schwartz said part of the decision to change the format of this year’s all-star game from east vs. west, to having captains pick their teams, came with an added bonus. Woods shared ESPN’s vision to not only give back to communities in America, but also to those in need from around the globe. Reed then shared his memories of being a young athlete with big dreams. He had some words of advice for children who may feel dejected at not being able to play professional sports. Just because you’re not part of the exclusive group of people who get to play in the big leagues, it doesn’t mean you can’t be involved. “There’s technology involved with what players on the field or on the court are doing … you can still have a rich impact on the game.” Reed said.